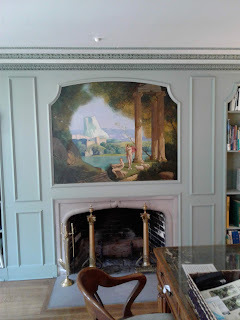 When I was researching locations for Never Borrow a Baronet, I wanted a remote place on the Essex coast, which could have been used by smugglers. My hero, Sir Harry Atwood, fights a family reputation for dark deeds, so any history that aligned with villainy would have been most welcome as well. But what I stumbled upon exceeded even my hopes. Foulness Island is a low-lying area on the east coast of Essex, cut off from the mainland by creeks and marshes that were once used by smugglers. 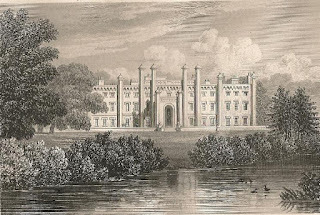 (I raised Sir Harry’s home, Foulness Manor, and the mythical village of Foulness considerably higher in the book.) The name relates to a nesting area for waterfowl, today, most notably, a long-legged, black and white seabird called the avocet. 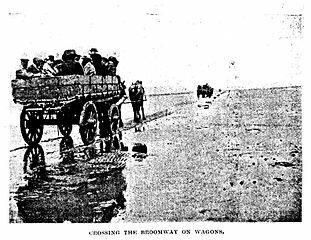 Unless you had a boat, the only access to the island was via a track called the Broomway. The Broomway runs out from the mainland across the treacherous Maplin Sands, mud flats that are completely submerged on high tide. From the picture, it appears wagons once braved the path, which was marked by brooms driven in on either side. Legend, and even current warning signs along the path, would have it that the tide comes in faster than a person can run. Heavy fog and sea mist compound the problem and make it even easier to lose your way. The Broomway is credited with at least 100 deaths over the years. During the Regency period, Foulness Island boasted a post office, a store, and a church. The Church of England built a school in 1846, when the island had a population of 674, 120 of them children. One of the most popular spots on the island was the George and Dragon Pub, which hosted bare-knuckle brawls. The island itself was renowned as a home for outlaws and villainy, including wrecking, purposely leading ships in to land to wreck upon rocks so you could seize the cargo. Foulness Island has yet to give up all its secrets. The land was purchased during World War I by the UK Ministry of Defence, which has conducted a number of tests, from the usual explosives to things atomic. The island is still only accessible through permit. Signs in the area warn travelers not to pick up anything, because it might go off! May you get real bang out of your Fourth of July! Marissa and I will be off next week celebrating. See you the week of July 9th. 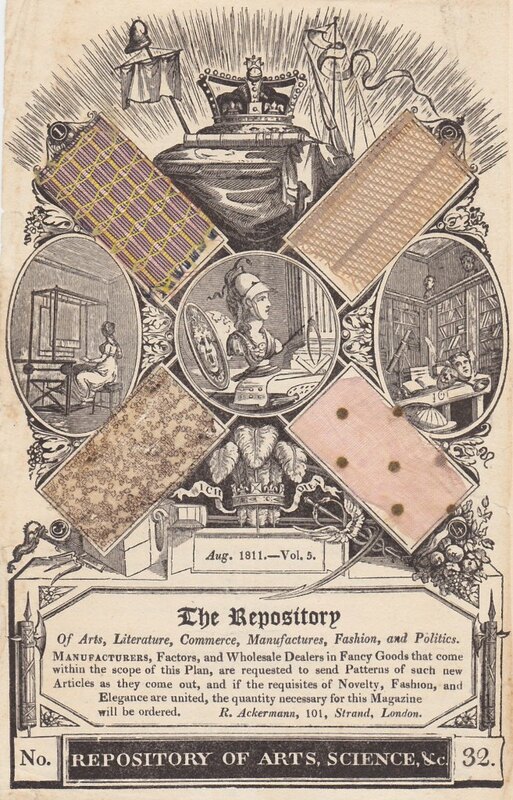 As I have in previous posts, I’ll be examining actual fabric samples glued into several earlier editions of Ackermann’s Repository, samples supplied by the manufacturers and published by Ackermann in order to boost the British cloth-making industry at a time when exporting British goods to Europe was almost impossible because of the Napoleonic war. I'll give you a close-up scan of each sample, the published description if available, and my own observations of the color, weight, condition, and similarity to present-day materials, to give you as close a picture as possible of what these fabrics are like. Today’s four samples are from the August 1811 issue of Ackermann’s Repository. The overall condition of my copy is good: the page itself is most free of foxing and toning, though one of the samples is a little worse for the two hundred plus years since it was woven, and two have lost their color to a greater or lesser degree. No. 1. A royal regency leno, for evening or full dress, calculated for the Turkish robes and Roman tunics now so fashionable in elegant circles. It should be worn over white satin, or sarsnet; and embellished with ornaments of pearl, diamonds, white cornelian, or the satin bead. 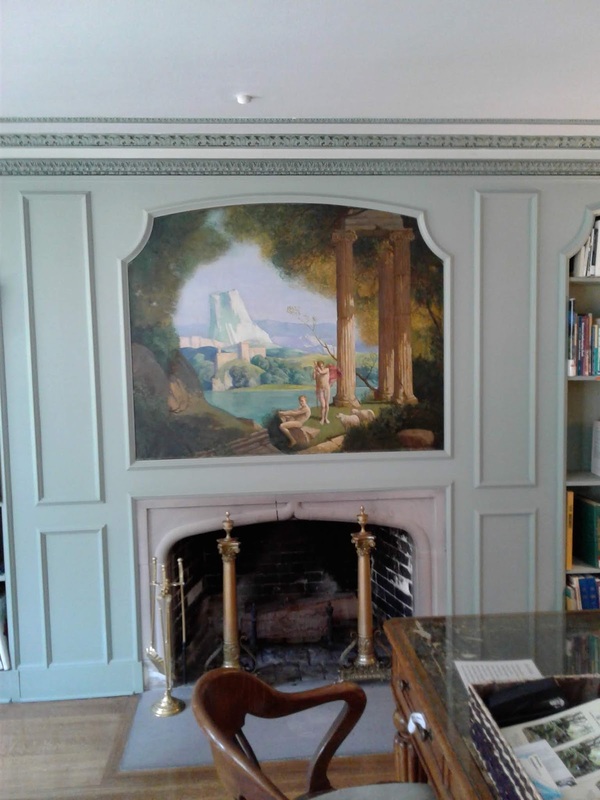 This elegant article is furnished by Harris, Moody, and Co. Pall-Mall. My comments: This is an attractively airy net style of fabric, elaborately woven of lovely silky thread in dark green, yellow, and dusty pink. While it’s mostly made of air, the style of weaving and heft to the threads gives it some weight. 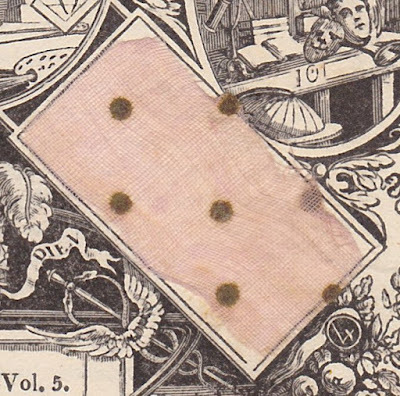 I do wish more Ackermann prints showed dresses made from the fabrics they advertised; it would be most instructive to see just what was done with a fabric like this, worn over white satin. I think I would have been terrified of catching it on jewelry or on something else and tearing the you-know-what out of it. No. 2. 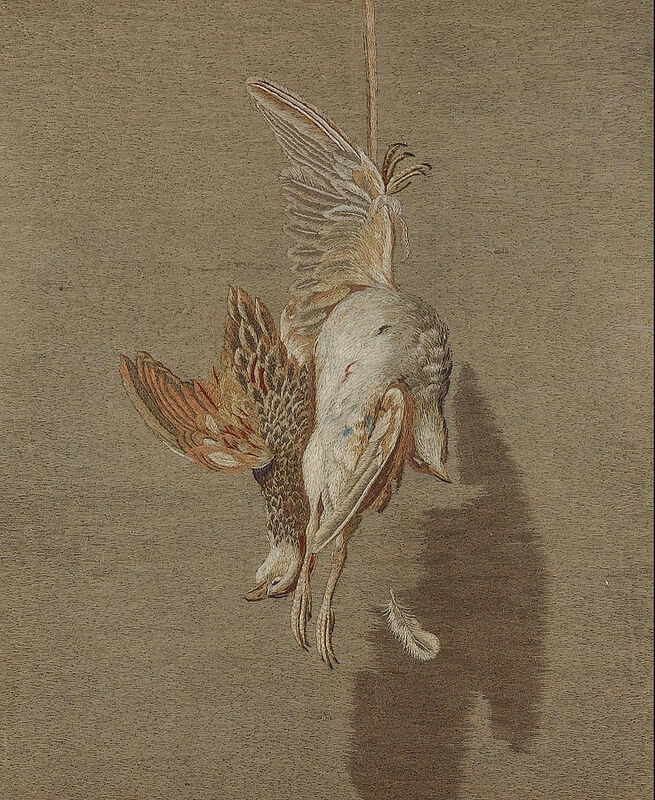 A dove-coloured imperial gauze, adapted for the same order of costume, and to which the same jewellery ornaments are appropriate. Trimmings of fine lace, with decorations of wreaths and bouquets for the hair and bosom, are also becoming appendages to this neat and elegant article, which is furnished by Messrs. Coopers, Pall-Mall. My comments: Another woven net, this time of all one color. This one feels a little less substantial than the first, despite its greater opacity. It would be charming as an overdress; I wonder if it was made up with the stripes oriented in the vertical or horizontal? No. 3. 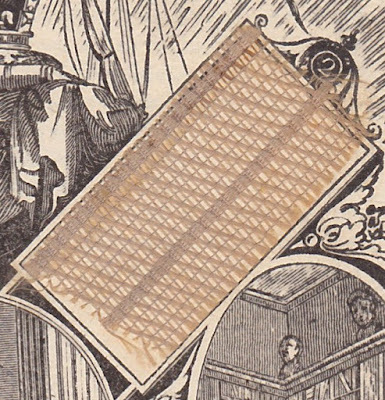 A celestial blue penciled muslin, adapted for the intermediate order of dress. 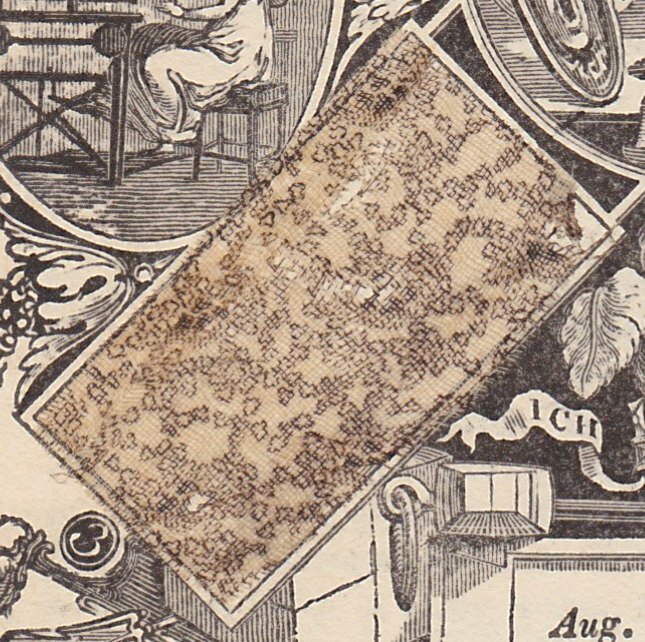 It is either made high, with a trimming of narrow lace round the throat, or formed in a low square bosom, finished with white embossed satin ribbon. With each the long sleeve is to be preferred, in this as in most other muslin articles. My comments: Um...celestial blue? This sample has clearly suffered; the dye is gone, though the feathery little random pattern printed on has survived...and after a quick look around on the interwebz, mine is not the only one to have suffered. It’s not easy to say much about it as it seems to have been glued entirely down on the page, but it is a very loosely (if evenly) woven fabric. No. 4. A pink muslin, with embossed green spot. This animated article is confined to the more youthful females, to whom it is most becomingly adapted. It should invariably be worn over white sarsnet, fine glazed cambric, or satin; and should be formed in the most plain and simple manner. No jewellery ornaments but white can be admitted to blend with this material, nor any but white flowers to be worn in the hair. The last two articles are furnished by Messrs. T. and J. Smith, 43, Tavistock-street, Covent Garden. Any thoughts on this month’s fabrics? I am pleased to have with us today Miss Meredith Thorn of the Fortune Employment Agency. 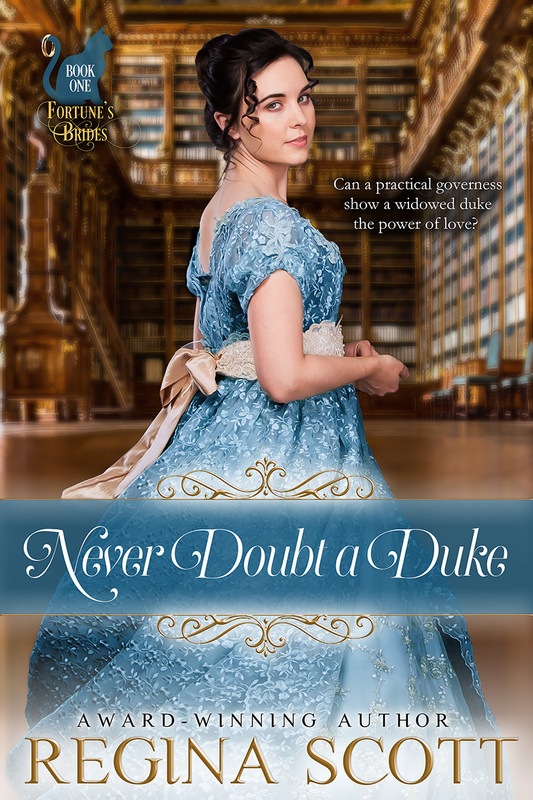 The raven-haired, lavender-eyed Miss Thorn recently featured in my Never Doubt a Duke and Never Borrow a Baronet and will shortly be involved in Never Envy an Earl. She and her beloved pet Fortune consented to sit for a brief interview. Welcome, Miss Thorn and Fortune. Fortune consents to have the top of her head rubbed. 19T: A lady of your breeding generally doesn’t trouble herself with matters of trade. What led you to start the Fortune Employment Agency? Miss T: I observed that many young women ended up going into service, of a sort—governesses, companions, teachers, and the like. In some cases, they were well treated, becoming cherished members of the family or the institution they served. In others, their lives became nothing short of drudgery, with little hope of change. I determined to change that. 19T: There are other employment agencies. Why is yours special? Fortune pulls away to regard me as if I have suddenly forgotten something important. Miss T: The Fortune Employment Agency is special because Fortune and I take great care in matching the situation to a lady’s particular needs. For example, Jane Kimball had lost her husband in battle, and with him any chance of having a family. I introduced her into a household where she had every opportunity to find a family of her own. 19T: Yes, I understand she’s shortly to be married. I received the invitation just the other day. A duke, no less. Miss T, smiling: Yes, quite. Fortune seems to be smiling as well. 19T: Why did you name your agency after your cat? 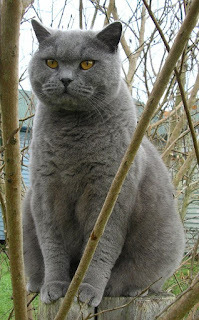 Miss T, turning her smile on the gray cat, who gazes back with copper-colored eyes: I’ve found Fortune to be very wise when it comes to determining the character of a lady and a gentleman. 19T: More skilled than you? Miss T: Decidedly so. My discernment has failed once or twice, with disastrous results. Fortune’s never fails. Fortune turns her back on me. Miss T: Not that I have found. 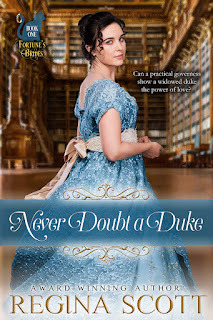 She picked the Duke of Wey for Jane and Sir Harry Atwood for Patience. And she was quite fond of the Earl of Carrolton. 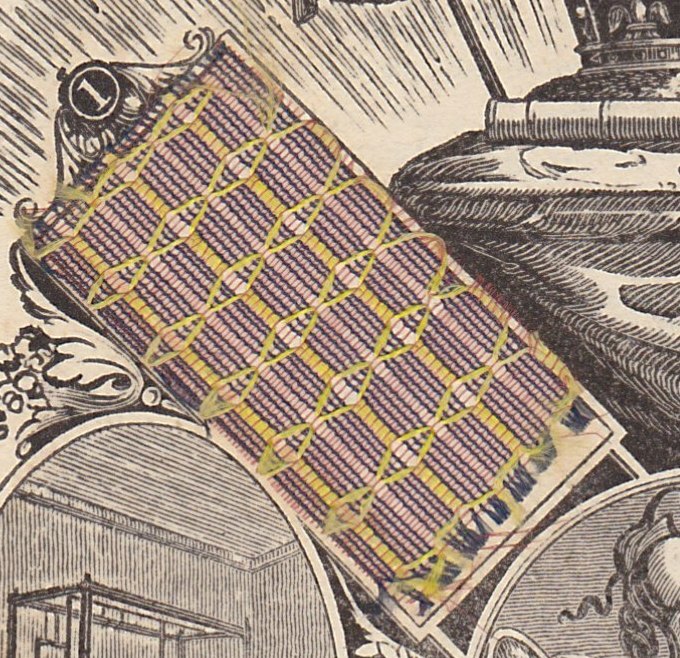 19T: Oh, who has Fortune matched to the earl? Miss T: I am not at liberty to say. 19T: Fine. Then let’s talk further about you. You take your duty quite seriously, I see. Did you have a difficult time in service yourself? Miss T, adjusting the lace at the cuffs of her lavender gown: Something like that. 19T: And has Fortune matched you with a gentleman? Miss T: Now, now, none of that. I’m merely considering the matter. He has a long way to go to prove himself to me after how we parted. Miss T: I really should be going. Perhaps another time. So, it seems Miss Thorn still has a few secrets she will not share. Never fear, dear reader, we will unearth them. As many of you know, my publisher, Love Inspired, is closing its historical line as of this month. I’ve known for about a year. So, while my agent has been shopping for a new publisher for me (this can be a loooong, drawn-out process! ), I started writing my Fortune’s Brides series with the intent of bringing out the first three quickly. This is a first for me, and so far readers seem to be happy about it. Therefore, I give you the publication last week of the second book in the series, Never Borrow a Baronet! Patience gripped the coal shuttle. She couldn’t doubt the intruder’s words. Even in the dim light, she could make out the features of Sir Harold Orwell. His hair was even more mussed than in the portrait, and that square chin was more solid. He wore no cravat and seemed to be holding one arm slightly behind him. Still, to blunder in through the window? Surely even in this unusual household that should be considered odd. Perhaps it was the lateness of the hour or the ruse she had agreed to perpetrate against her better judgment, but she had no trouble stating her opinion this time. So, that was it. He’d been out cavorting and didn’t want Gussie to learn the truth. Disappointment bit sharply. He started for the wardrobe on the far wall, and Patience took a step closer, shuttle up against her shoulder. He jerked to a stop, and she clutched the shuttle tighter. How was she to know whether he was the sort to accost the servants, or a lady he probably thought was one of his aunt’s guests? 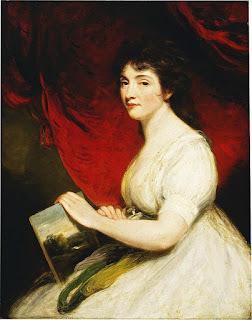 She had never met anyone who took liberties while inebriated, but her friend Jane had been discharged from her previous post because of a master who had lost his head. But as he stopped and turned to face her, the arm he had tried so hard to hide came into view, wrapped in a cloth stained red. That seemed to stop him. She could almost see the thoughts flying behind his eyes. If he didn’t want his aunt to know of his midnight prowl, perhaps he didn’t want the servants to know either. But, of course, someone would notice the ruined coat. Just like the master not to think of that. So meek. She didn’t trust him for an instant. For my Fortune’s Brides series, I’m having to research various types of English houses . I’ve certainly researched the workings of a great house over the years. This time, however, I went looking for exterior pictures to inspire. Alaric, Duke of Wey, in Never Doubt a Duke lives in a quasi-castle along the Thames in Sussex. I wanted labyrinthine, imposing. Something like this. 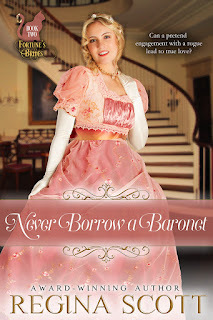 Sir Harry Atwood in Never Borrow a Baronet lives in a quaint cottage overlooking the sea in Essex. I wanted cozy, quirky. This was a candidate. The Earl of Carrolton in Never Envy an Earl lives on a wooded estate in a massive house he helped design in southern Sussex. I wanted elegant, original. 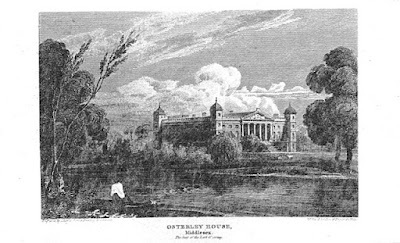 I took Osterley Park as my example (more on that soon). 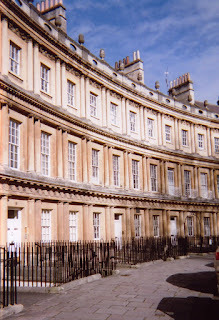 Frederick, Viscount Worth, in Never Vie for a Viscount owns two adjacent town houses on Clarendon Square north of Hyde Park in London, though he’s broken through the walls to connect the two. I wanted sophisticated, Spartan. This works perfectly. I’ve been collecting more pictures of English county houses on my Pinterest page, 222 at the moment. Feel free to browse. I’m still trying to determine my favorite, but I’m leaning heavily toward Harry’s home. What about you? Lady Emily Southwell, the heroine in my Lady Emily Capers, dreams of being an artist. 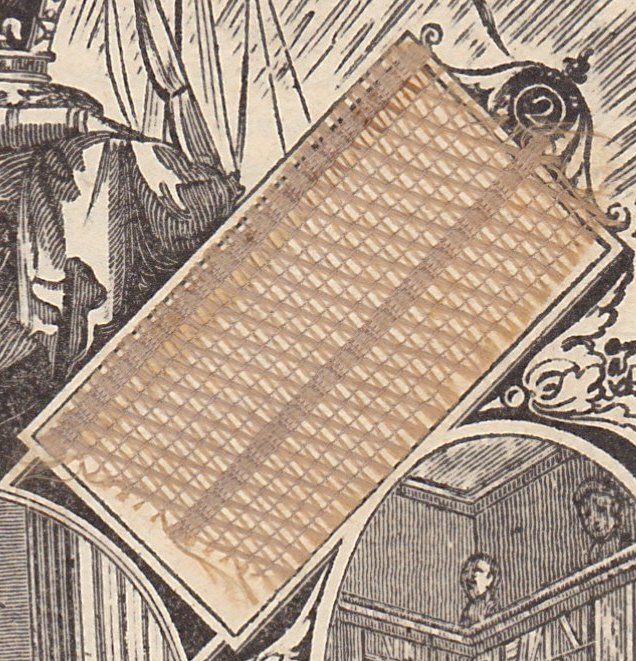 That was a nearly impossible goal for a young lady in nineteenth century England. Even the few female painters of the day were barely recognized by their peers, much less the public. That’s one of the reasons I was so delighted to discover a lady who not only spent her life as an artist but commanded the attention of royalty in several countries! You would not have thought Mary Linwood would become an artist. Her father died when she was young, and her mother ended up starting a private girl’s school, where Mary would teach until a year before she died at the ripe old age of ninety. But Mary’s passion wasn’t teaching. Like many young ladies of that age, she embroidered. But what she embroidered surpassed nearly anything of its time. You see, from the tender age of 13, Mary created “paintings” with her embroidery. By varying her stitches, she made each one look like a brush stroke. 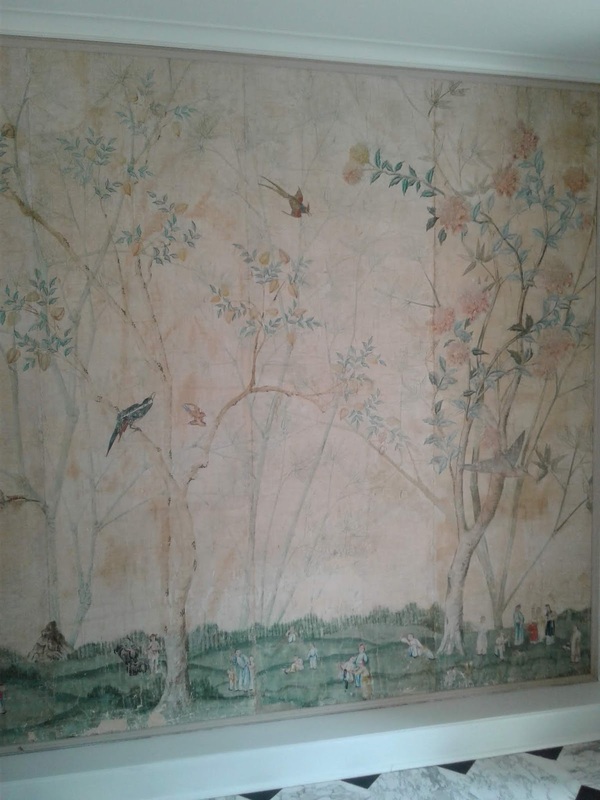 She used crewel wool on painted silk and copied old masters so well that one of her copies sold for more than the original! She was toasted by the aristocracy, courted by royalty. 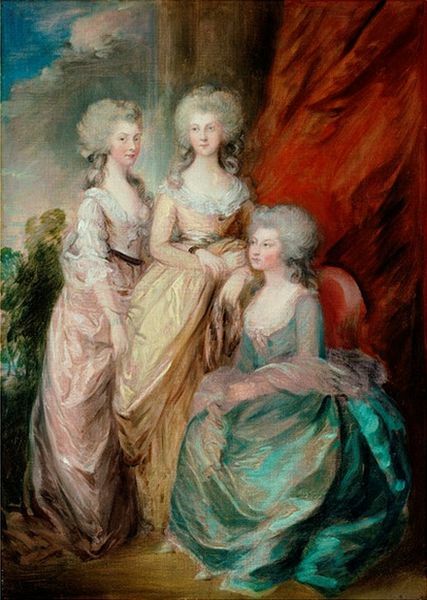 Queen Charlotte invited her to Windsor to display her work. In 1803, Napoleon invited her to France, where he awarded her the Freedom of Paris for artistry. She displayed her paintings in Russia, met Catherine the Great and the Tsar. 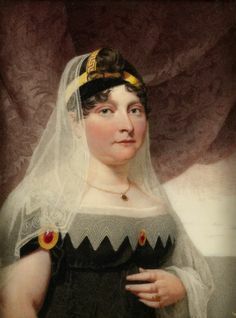 She amassed a collection of more than 100 pictures, many of which she displayed for years in a long gallery at Savile House on Leicester Square from 1809 to 1845. Charles Dickens even toured the place. She completed her final piece at age seventy-eight. Quite a stitch in time. If you’d like to see some of her paintings in detail, try the Story of Leicester website. 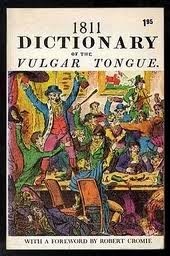 Another installment of colorful verbal shenanigans from the 1811 Dictionary of the Vulgar Tongue. Enjoy! 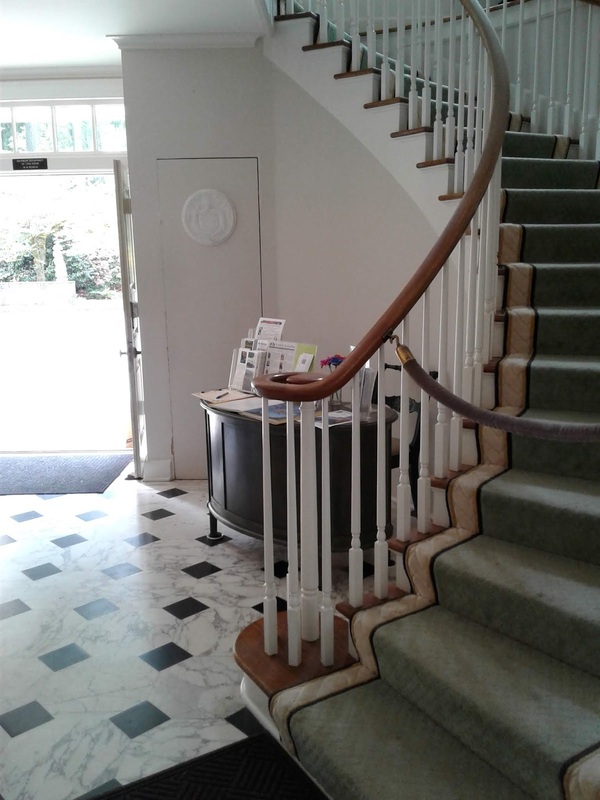 This is closer to the 20th century than the 19th, but I recently had the pleasure of visiting this charming gem, and I thought you’d find it interesting. In the late 1800s and early 1900s, the area around Lakewood, Washington, was considered a “retreat” for city dwellers in Tacoma and Seattle because of the many lakes. In 1908, avid gardener Emma Alexander bought a 5-acre plot of land along the shore of Gravelly Lake. 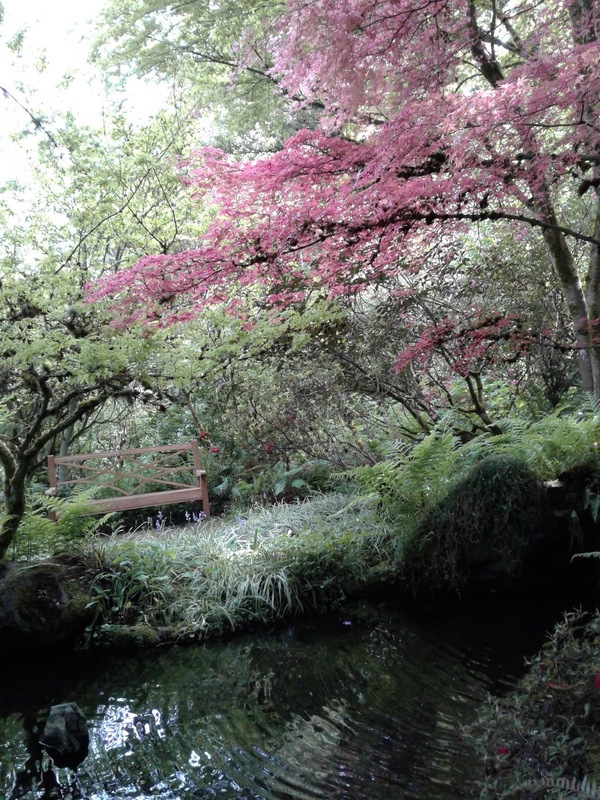 She started building a summer cottage, with a garden around it using many native plants. After her son took over the property in 1918, he added an adjacent 5 acres. 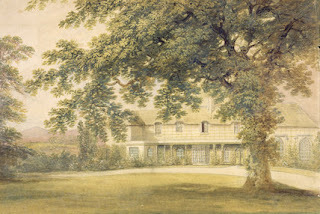 During his ownership, he also built a finer house and enlarged the gardens. The estate passed through other hands before being purchased by George Corydon and Eulalie Wagner. The wealthy Corydon had his hand in lumber, investments, and coal, while his wife adored gardening. It was Eulalie who had the current house built along Palladian lines. The story goes, she wanted pink stone for the exterior and sent all the way to Tennessee for it. When it arrived, she promptly returned it because it wasn’t pink enough. 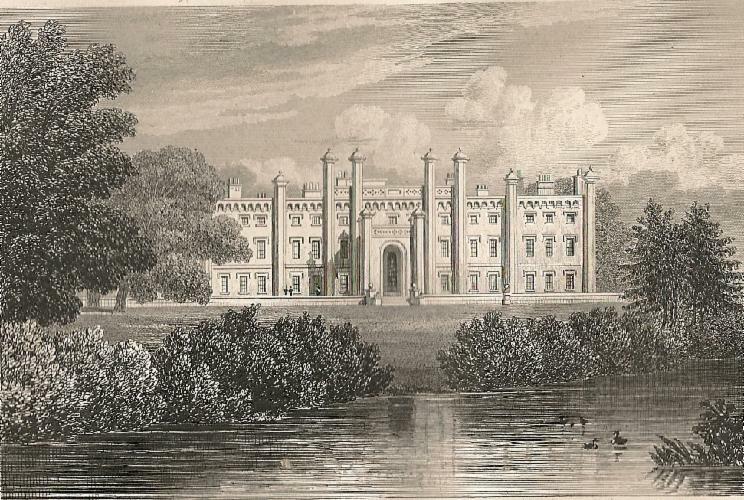 Eulalie also hired Thomas Church, a renowned landscape architect, to come redesign the gardens. He returned over the course of several summers to achieve her dream. She and her husband entertained lavishly, with friends and family, including hosting weddings for their children. As the wife of a lumber executive, my grandmother remembered being invited to Christmas parties at Lakewold Gardens. I was struck by the many nineteenth century touches, like this sweeping staircase and black-and-white marble floors. 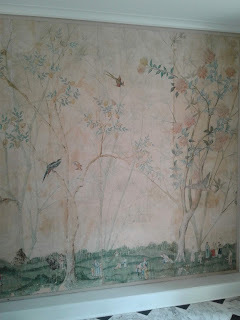 And silk wall coverings that date from the nineteenth century. I thought the library particularly Regencyesque. In 1987, Eulalie donated the house and gardens to a non-profit organization, asking that the gardens be maintained and opened to the public.